Verisimilitude is a knitwear designer, also known as Madeleine Ostling. She is based in the Outer Hebrides, Scotland, where she strives to stay as true to local production as possible - she sources Scottish wool from neighbouring islands and produces everything in the UK. All elements of her brand had to reflect this attention to detail. The logo was developed from the client's design, lifted straight from her knitwear. 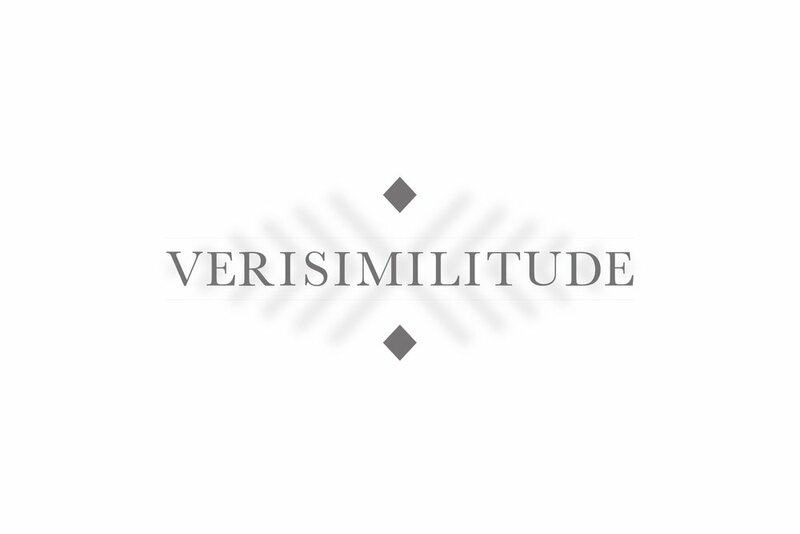 Verisimilitude, literally meaning 'the appearance of being true or real' was explored visually and resulted in contrasting imagery and graphics of blur and sharpness. Madeliene requested that the tag should encompass a 'mending card', longevity and quality being essential to her knitwear designs. I developed a folded pocket, where the card hides on the inside. The website required simplicity in order to showcase the photography at it's best. The result was a stripped back approach with just hints of the brand identity sneaking through. The site was created using an easily updatable platform so collections could be updated as required.